A great way to pack in superfoods into your diet, especially if you struggle to fit them into your food choices. Quite a high priced multivitamin, compared to some of the other similar products we have reviewed. Overall this product is a great way to get all the vitamins and minerals you would otherwise find in regular superfoods, without having to worry about finding ways to fit them into your diet. You simply take the tablet once per day, and you don’t need to worry about taking it with food, as these are fine to take on an empty stomach, as they are very gentle. 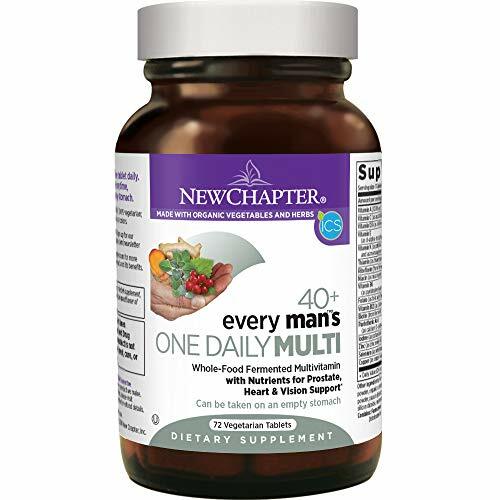 There are over 40 vitamins and minerals included which are mainly focused on men’s health overall, including stress level support, heart health, prostate health, and energy boost, as well as muscle support too. There are several superfoods included in the tablet, such as ginger and turmeric, and nothing at all artificial included – we know that it can sometimes be hard to pack certain obscure superfoods into your diet, this is a great source of middle ground.